Stanze (rooms) is a cycle of 16 pieces, and each is a musical space separated from the others like the rooms of a house. It's the diary of a journey, with the aim to achieve the maximum expression using the least possible. 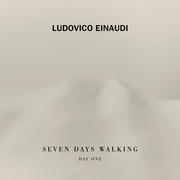 This is how award-winning composer Ludovico Einaudi describes Stanze, his first cycle of ballads for solo instrument originally composed for piano over the course of three years. 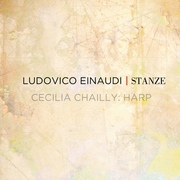 After having listened to the performance of some songs performed on electric harp by Cecilia Chailly (the sister of conductor Riccardo Chailly), Einaudi decided to entrust the playing of the whole project to her, privileging her instrument for the entire album. These are interwoven pieces with great charm & without any dull moments; so light and rich to compensate the absence of any other instrument. Stanze creates an embraceable and warm atmosphere overflowing with a deep emotional power, as hypnotic as any perfume. Each piece is paradoxically independent from and essential to the others, due to an extremely focused and creative performance style. 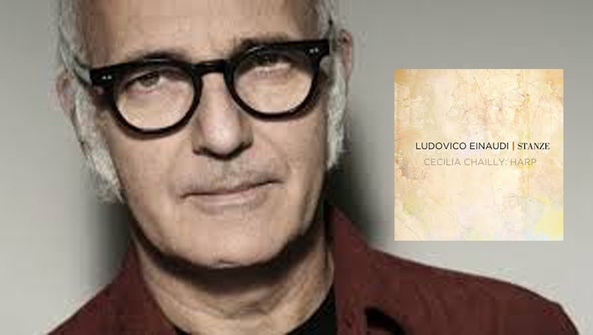 Einaudi is one of the most synched artists in the world, and had two entries in the Top 20 synchs of 2012. He has had campaigns in Italy with American Airlines (spot starring Kevin Spacey), Sony, Vodafone, Chivas Regal, Santander, P&G, British Airways, and many film trailers, including the Academy Award-winning film, "The Black Swan."